On tonight’s Vanderpump Rules things get super wild at SUR when Lala Kent takes out her grief and aggression on Raquel Leviss after Lala accuses Raquel of talking about her deceased father. 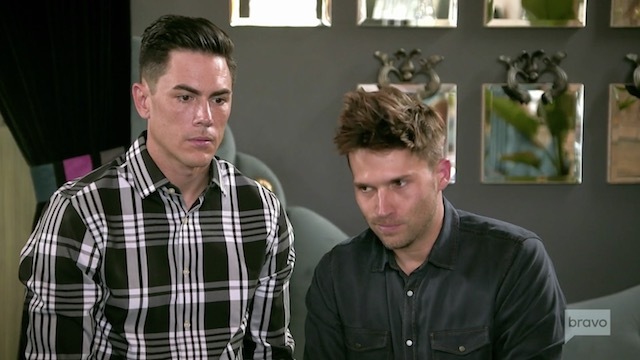 This comes after James Kennedy was cruelly uninvited from the cast trip to Mexico, which was supposed to be about Tom Sandoval and Tom Schwartz celebrating the opening of TomTom. Then while James is at SUR DJing Billie Lee‘s boozy brunch, he and Raquel have a run-in with Lala that goes all kinds of wrong. This has Tom 1 questioning why Lisa Vanderpump isn’t pulling out her pink slips to fire the future Mrs. Randall Emmett. This was a crazy episode of Vanderpump Rules with no winners or losers. OK, well, obviously Katie Maloney is a loser. The biggest loser, but still she’s allowed to dictate everyone else with her negativity and bullying. Even though it doesn’t appear that anyone likes her – even her own husband. I don’t know why, but Katie brings out the rage in me! James Kennedy is a man of two strides forward (like a mini pony, not horse); two strides back into the time-out pen because he can’t play with the other horses without nipping their flanks and kicking up manure. Vicki Gunvalson loves reminding us all that she’s “the OG of the OC.” No one can deny that. However, she also deserves another arbitrary title in Puerto Vallarta. That’s where the Real Housewives of Orange County cast member really shines- minus last season’s trip with Tamra Judge and Shannon Beador. Vicki was on her best behavior then. 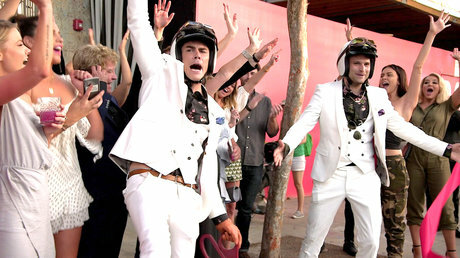 This was in stark contrast to Tamra who broke her foot during a drunken, naked jacuzzi session. 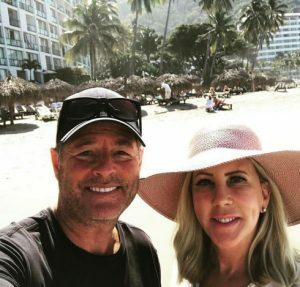 Let’s hope Vicki has returned to form and “whooped it up” during her most recent Puerto Vallarta visit. Then again, she was there with her siblings, their spouses, her man Steve Lodge, and Steve’s daughter Amanda. It’s safe to assume she was well-behaved then as well. However, she did share some photos from the bar. This just makes me long for the Vicki of yesteryear who danced on the bar, downed tequila shots, and peed on Tamra’s bedspread. A truly golden era. A Vanderpump Rules cast trip is bound to be entertaining- especially when they’re in Mexico. Currently, all of the SURvers are vacationing in Vicki Gunvalon’s home away from home: Puerto Vallarta. Well, almost all of the SURvers are there. Jax Taylor, Stassi Schroeder, Kristen Doute, Brittany Cartwright, Lala Kent, Tom Schwartz, Ariana Madix, Tom Sandoval, Katie Maloney, Scheana Marie, and Stassi’s boyfriend Beau Clark turned up in Mexico. However, there are two notable names missing from the guest list.